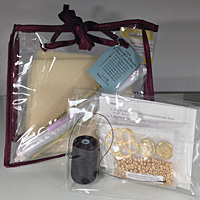 This a a technical manual, with 3 projects added in. 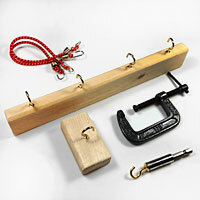 The tool set is optional as you can make it yourself, with a trip to the hardware store as long as it is a good one. 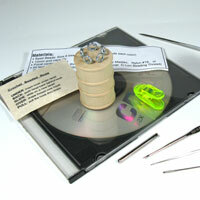 How to make your tool set is included in the manual. 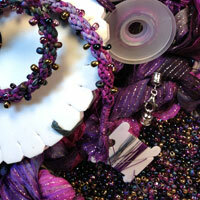 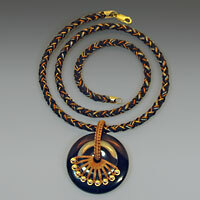 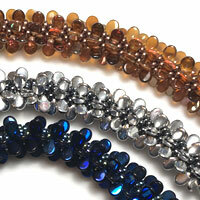 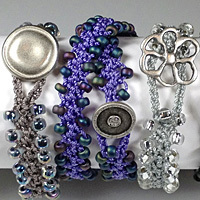 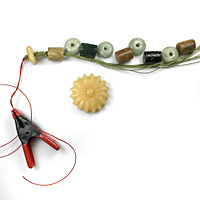 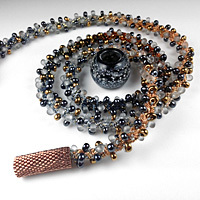 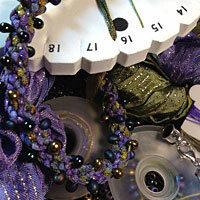 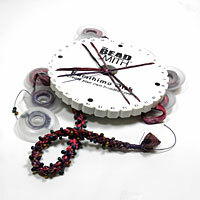 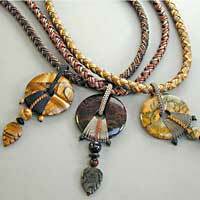 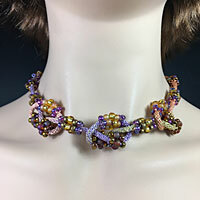 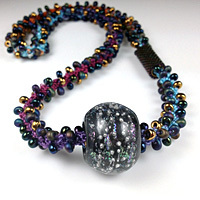 All the projects are made with C-Lon Bead Cord, but other cords and sizes can be used and experimented with as well. 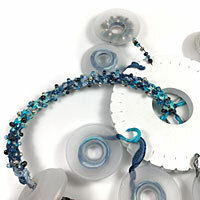 The materials, adhesives and compoments such as clasps and silders for the projects are purchased separately. 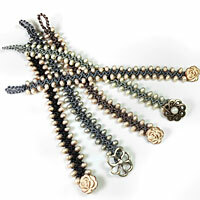 Crown knotting is a great alternative to pearl knotting for stringing beads as the knots are completely symmetrical. 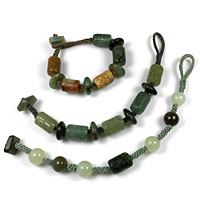 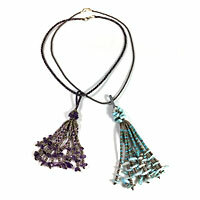 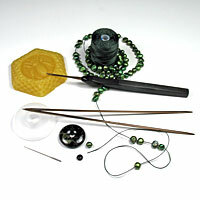 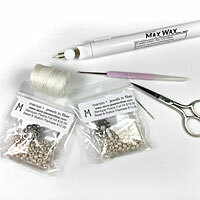 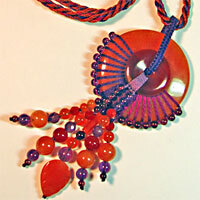 It is the best method for stringing antique beads with larger and irregular holes. 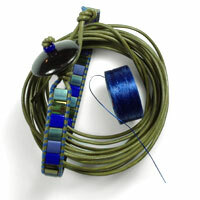 Marion came up with the idea of using a kumihimo disk to assist in tying the knots - it makes the process much easier. 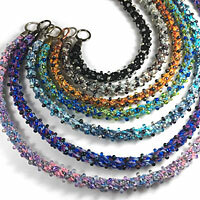 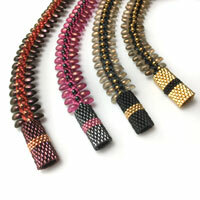 The fiber endings creates a completely integrated clasp and can also be used for kumihimo braids. 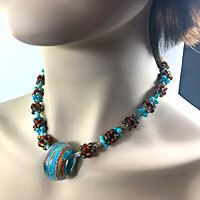 These kits are fun to make and wear. 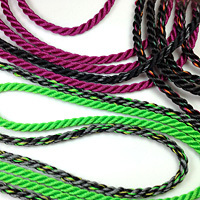 Everyone wants them. 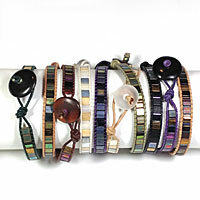 They make great gifts.... 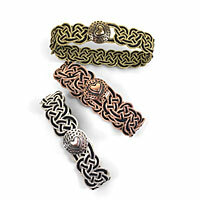 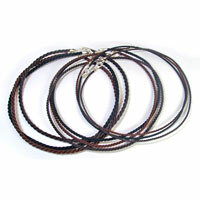 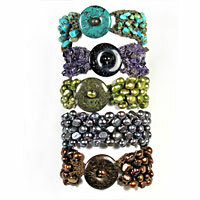 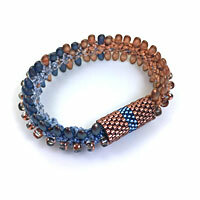 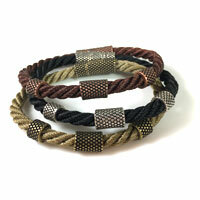 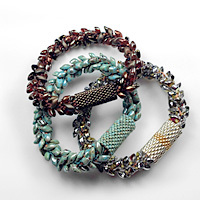 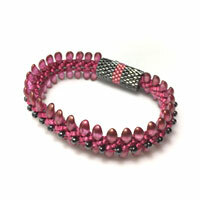 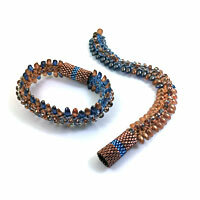 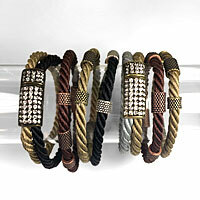 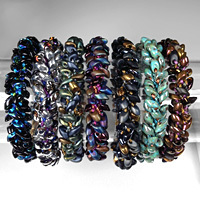 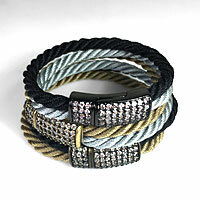 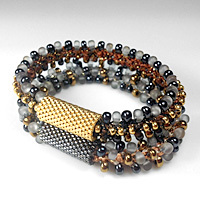 The Tila Beads Leather Wrap Bracelet Kit makes three bracelets. 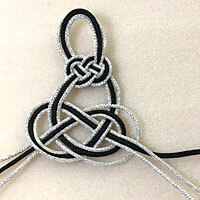 Make two for friends or family, one for yourself and feel connected when wearing them. 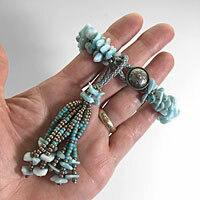 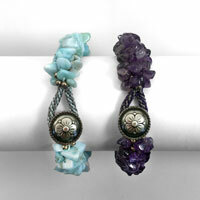 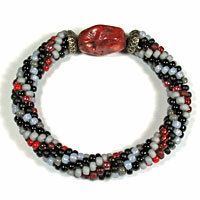 The Shambhala Bracelet Kit has some unusual twists and is available by PDF. 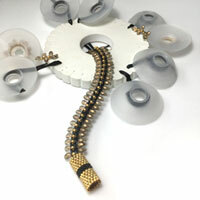 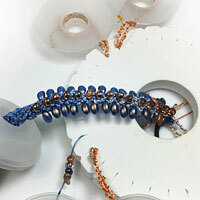 The tubular bead crochet starter jig and tutorial, designed by Studio Dax is the best way to start bead crochet ropes. 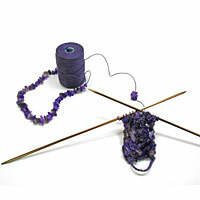 Beginning bead crochet rope is difficult, frustrating and often the learning curve is too steep for beginners. 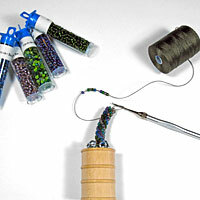 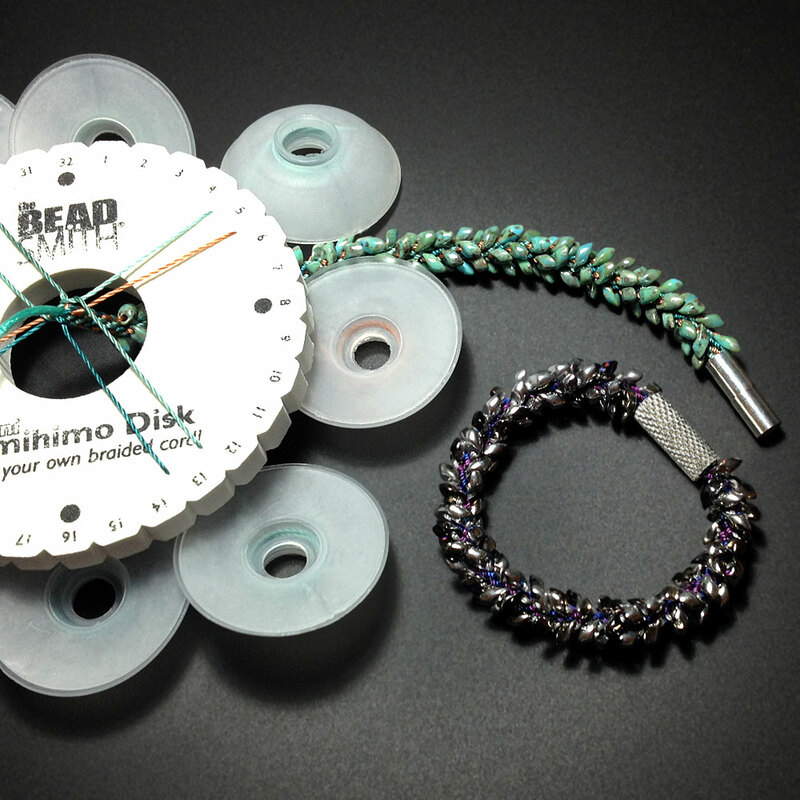 Studio Dax came up with this tool and method after trying to teach bead crochet ropes the traditional way. 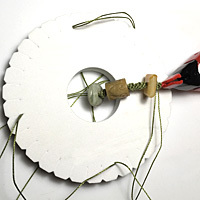 The Starter Jig and Tutorial has helped beginners and professional alike overcome this hurdle. 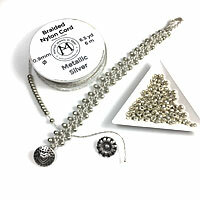 I had given up on tubular bead crochet until I tried this method. 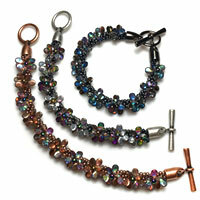 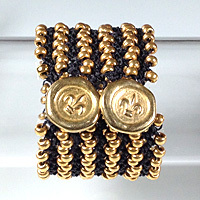 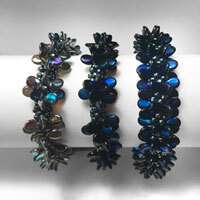 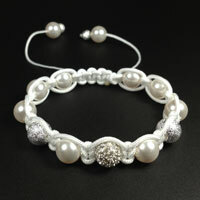 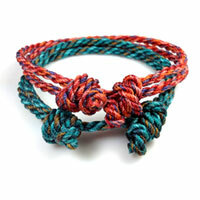 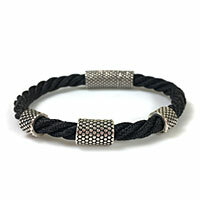 In addition, the tutorial teaches how to make the bracelet shown below. 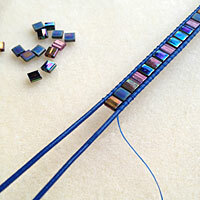 Turkish Flat Bead Crochet is an unusual crochet pattern based on Oya, the beautiful crochet trims made on scarves edges in Anatolia. 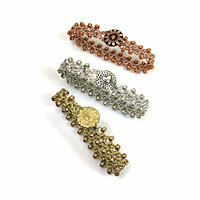 Learn the pattern and take it the next step up and make armor like cuffs reminiscent of Princess-Warrior ornaments.